As explained before, balloon plots can be a good way to compare many observations with lots of variables. 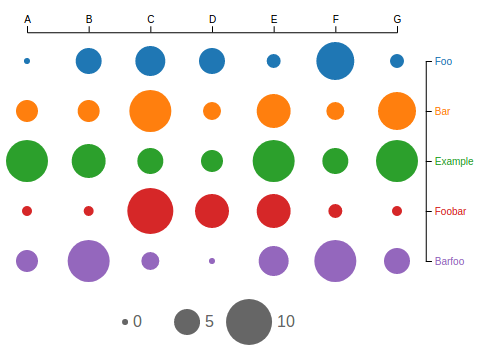 I have now created a small extension for d3.js v4 that allows to implement interactive balloon charts quite easily. It is available on GitHub and can be seen live in action for a recent news article about segregation in schools on the WZB website.